Yokohama is a city located near Tokyo with many sightseeing spots. It takes about 40 minutes by train from Tokyu Toyoko Line “Shibuya Station”. We recommend you to visit Yokohama for a day trip from Tokyo. Yokohama is an over 150 years historical old port town. Because of interaction with foreign countries, it’s strongly influenced by western culture. There are many historical western style buildings at Yamate area. A fun place to walk wearing a kimono. This time, we’ll show you about Yokohama Yamate western style houses which perfectly suit for a kimono photo shoot. Yamate is long time famous as a residential area for foreigners since the beginning the port of Yokohama opened to foreign trade for about 100 years ago. During this time many western style houses were built. There are seven western style houses open to the public. They are free to visit. Two houses at “Minato-no-Mieru-Oka (A hill from where you can see the port) Park” area. 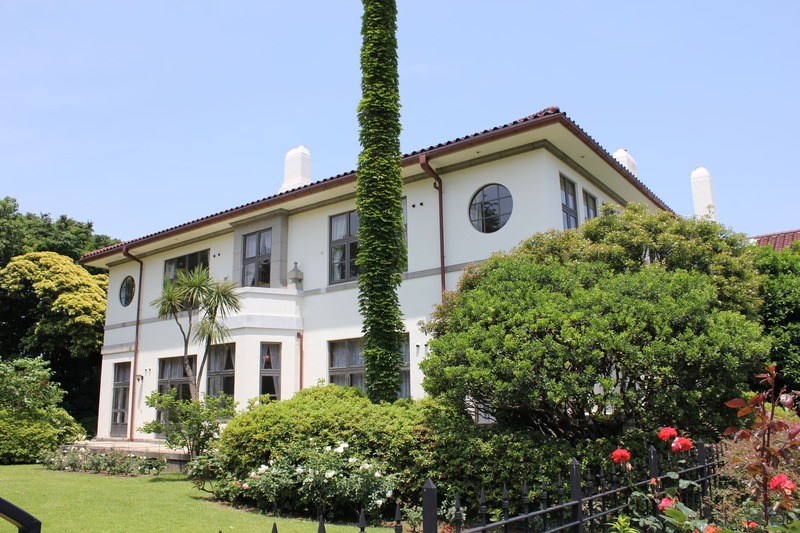 Three houses at “Motomachi Park” area and two houses at “Italian Garden”. You’d better to wear easy to take off shoes due to that at most of the western style houses you have to take off your shoes. 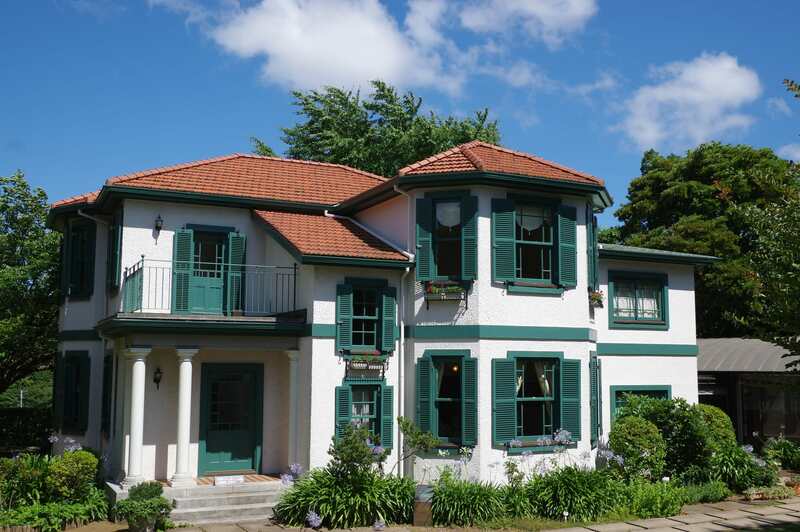 This building was built as a British consul general official residence. A moderate profound design with imperial British influences. In 2002, the house was renewed as an exhibition room and opened to the public. Besides there is a wonderful rose garden. So enjoy this beautiful scenery in the season of roses! It has once been built as a joint housing project for foreigners (apartments) The dwelling units of four of the same format, symmetrically face each other across the entrance porch of the central part. It has a configuration that overlaps by height. A historical conservation and renovation project of Yokohama city, open to the public since 1999. It’s designed by Raymond. Emphasized wooden modernism elements a horizontal line of the eaves, you see the influence of a teacher of Raymond, worldwide renowned architect Frank Lloyd Wright. This two-story wooden building, upstairs is a cupboard, downstairs is a mansion of the chalk of the vertical siding upholstery. An interesting place to visit. 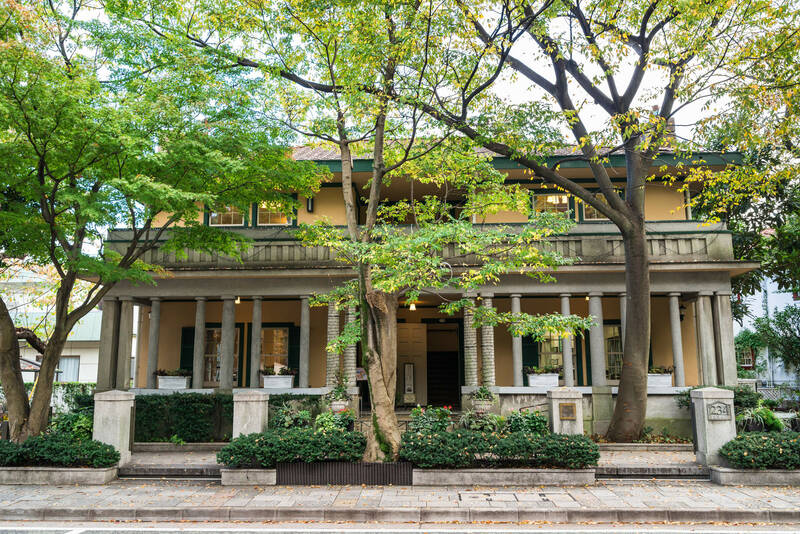 In 1990 this house was reproduced in the Motomachi Park and opened to the public. Berrick Hall was designed in 1930 as a British trader BR Berrick’s house and has been used before World War II. The largest building that exist Yamate foreign residence by architect J.H. Morgan. 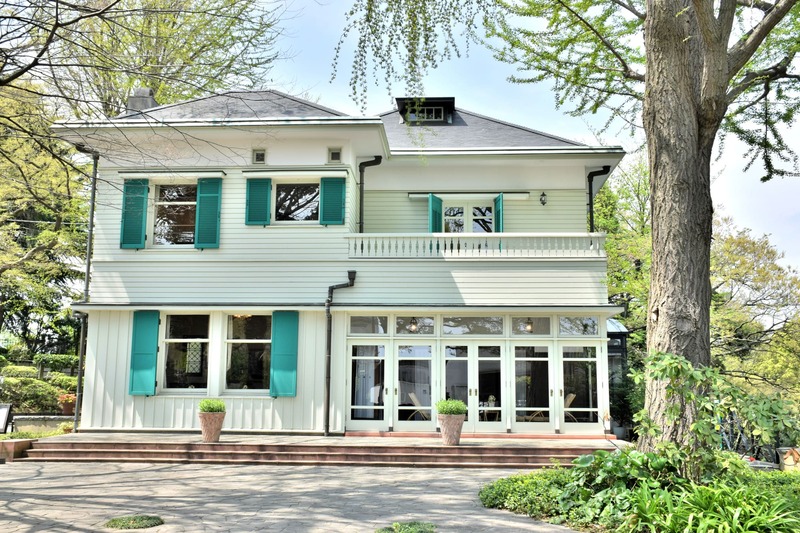 This house was built for a diplomat Teitsuchi Uchida who served as a Consul General in New York and as the Turkish Ambassador. By the design of architect J.M Gardiner. 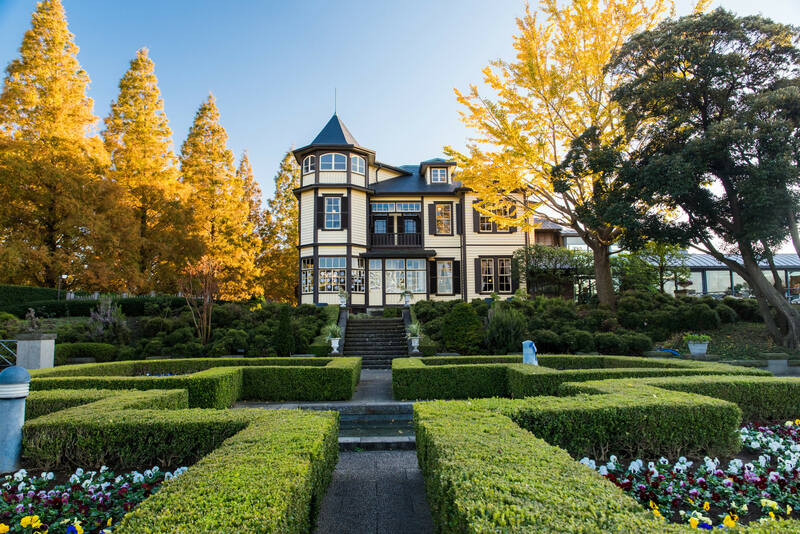 This historical house is designated as an important cultural property of Japan. On the top floor of an attached building, there is a tea room where you can enjoy a nice view of Minato Mirai . Bluff 18 was built as a foreign residence. 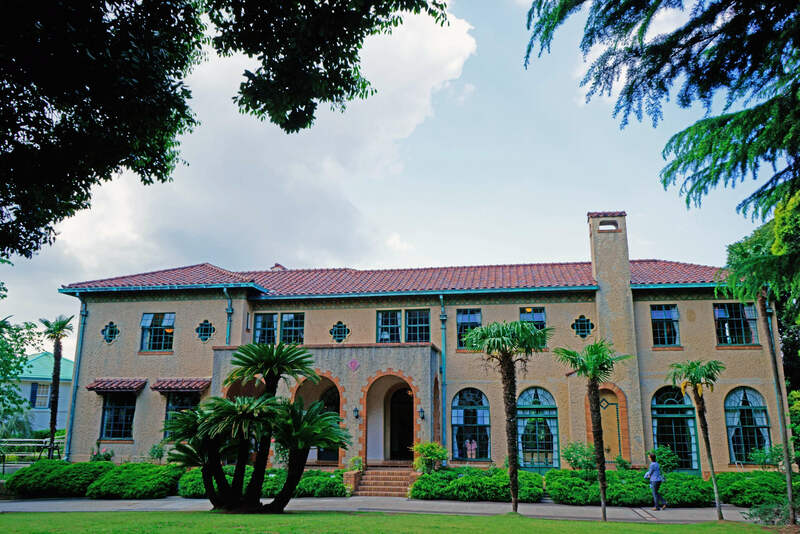 After World War II it became the rectory of the Roman Catholic Diocese of Yokohama. 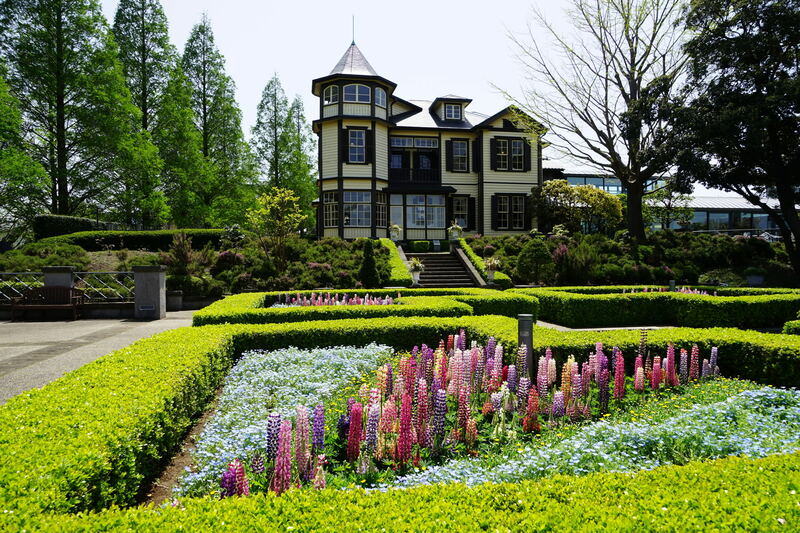 In 1991 Yokohama city received the house and relocated and restored it at an Italian garden in Yamate. Open to the public it’s regularly used as a gallery for exhibitions. This house was built in 1926, designed by Jay Hill Morgan. Morgan has designed many buildings and Bluff No.111 is one of his masterpieces. 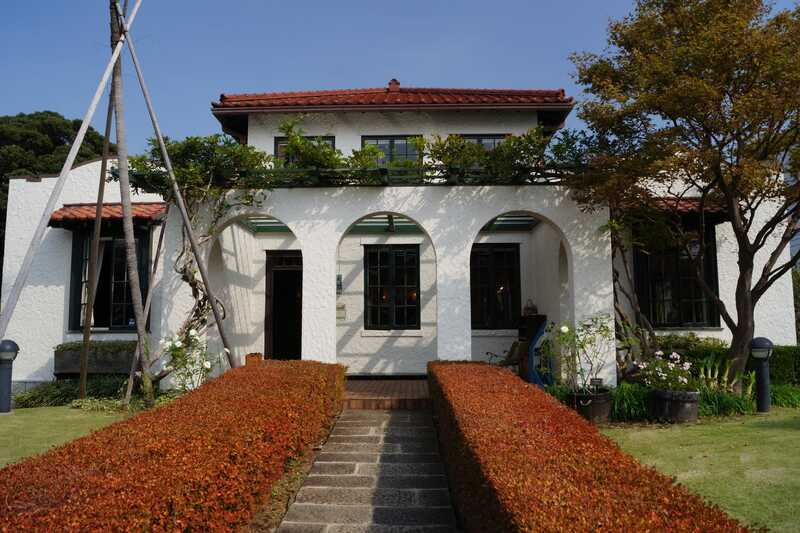 Inside this house you feel early Showa period by the style of interior. There is also an exhibition about architect Jay Hill Morgan. Currently the basement which can be entered from the rose garden is used as a tea room. In Yokohama, there are many spots which suit while wearing kimono. 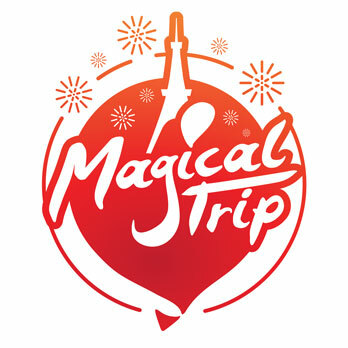 Let’s join a photo shoot experience tour at well-known sightseeing spots in Yokohama. You can enjoy sightseeing and kimono. You can choose your kimono yourself. A professional staff will help you to wear kimono and a well-informed guide will guide you.